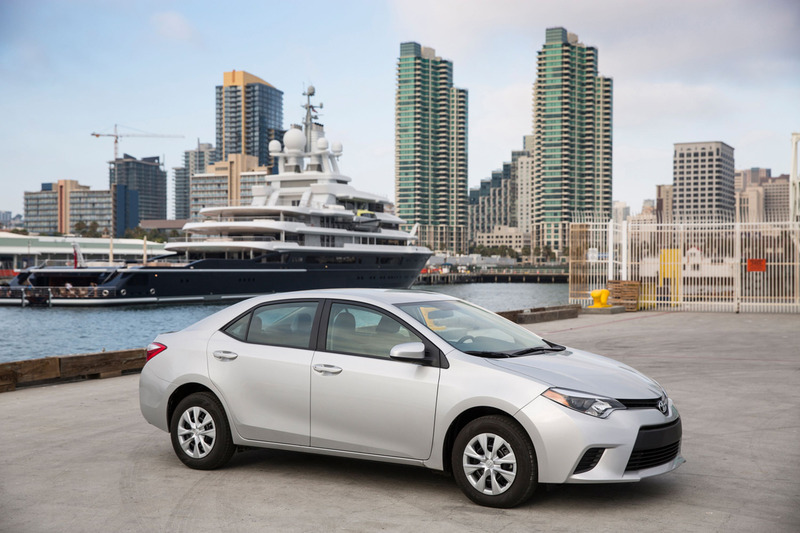 The 2014 Corolla L model. The L features standard Bluetooth connectivity, LED low-beam headlights, and a new driver's side knee airbag as standard featuers. Photo courtesy Toyota.